Magnus Makes the Wall! – Play UBass! Magnus Sjöquist on Kala’s ”Wall of Fame”. Magnus has been a friend of this blog since the beginning. And he runs a great blog as well. His PLAY UBASS! 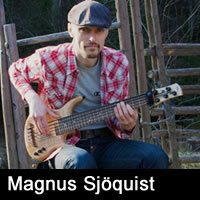 blog is a great place to check out his talent as a uBass musician. There aren’t that many uBass blogs out there. But Magnus’s is one of the best.